The new JOOLA Golden Tango is „Made in Germany“, combining the advantages of a tacky upper rubber, usually characteristic of Chinese rubbers, with the enormous elasticity and speed of a Tensor sponge. This interaction results in a completely new sensation. 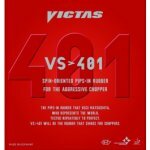 The tacky surface offers maximum grip thus enabling loaded topspin and undercut strokes at the most extreme blade angles. JOOLA Golden Tango produces incredible rotation and an arched trajectory. The molecular structure of the energetic sponge underlay makes JOOLA Golden Tango extremely elastic and provides sufficient speed reserves to counter unexpected spin attacks. The sponge is very forgiving, therefore it also offers maximum control for all cut variations either at the table or from half-distance. Strategy DEF - OFF ex. 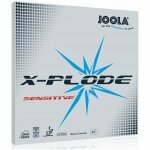 Joola X-plode Sensitive - great alternative for Tango! Joola Rhyzer 43 - new for 2018!